I always pick the best, creepiest stuff to watch in October. … Well, I have for the past two years. As usual, I went in to Shinsekai Yori completely blind. All I knew is that it was one of a handful of shows I was thinking about watching that was set in the future. An incredibly subtle, creepy future. The visuals remind me of a late 90s, early 2000s anime. There’s something decidedly sketchy about the art, which helps give the unsettling, creepy vibe come across. I didn’t notice any dips in quality, either, which is always good for the first episode. The soundtrack is surprisingly good, although if I had to talk more about it, I could only specifically mention the strange chant/operatic-sounding piece toward the beginning. Everything else seems really subtle. The plot is… strange. Apparently, people with psychic powers are sent to this special school to develop them. I don’t really want to spoil much, but it’s got a very ‘Another’ vibe to it. I really, really hope this creepiness stays with us throughout the entire show, because there’s not enough (recent) good, psychological anime out there. I know that this post is kinda short, but I can’t really give much away without spoiling things. Granted, I am incredibly late to the first impressions party, so anyone who cares has probably already seen it but… eh. All I can say is that I’ll definitely be following this show and really recommend it to people who liked Another. Anyway, first impressions notes are right here (and contain spoilers, of course). As always, thanks for reading and have a good’un. 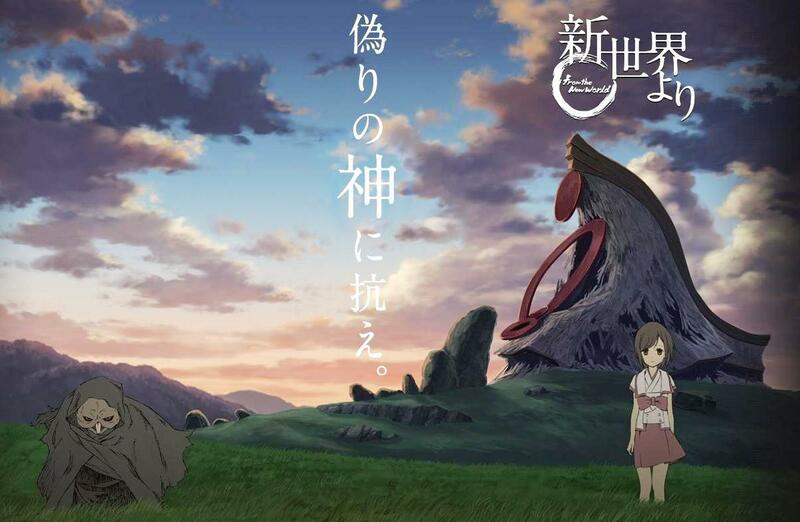 This entry was posted in Anime and Manga, First Impressions and tagged fall 2012 anime first impressions, from the new world, from the new world anime, shinsekai yori, shinsekai yori episode 1. Bookmark the permalink.